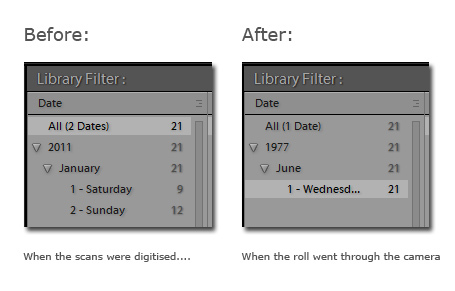 The plugin’s original purpose was updating the EXIF data of scanned photos, making Lightroom display them by capture date instead of the date the negs were scanned. Capture Time to Exif is essentially an in-Lightroom interface for Exiftool. Its main purpose is to allow you to edit EXIF data, particularly dates, without having to understand much about command lines. Write directly to proprietary raw formats – though normally it will use sidecar files, which have limitations. Generate a log file which can be run as a batch file in Shell/Terminal – use this method for debugging or other advanced needs. Capture Time to Exif is for Lightroom 3/4/5/6 on PC or Mac, and is available from Photographer’s Toolbox. The trial version is limited to 10 images at a time but is fully functional.